Do you have questions about transition? Wondering what transition is? Who can help with employment, post-secondary education, and life skills? How do we help our students discover what they want to do when they graduate? Life After High School is a program designed to answer all of these questions. www.jeffcotag.info is a re-designed website featuring a learning series that includes video vignettes, slide presentations, handouts, and web links to resources on 6 topics including: Transition Components of an IEP (individual education plan), Higher Education, Employment Choices, Long Term Options, Building Community Supports, and Self-Determination. 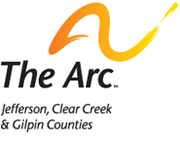 This program is co-sponsored by Jeffco Schools and The Arc – Jefferson, Clear Creek & Gilpin Counties, and is supported through funding from Developmental Disabilities Resource Center (DDRC). Click here to access the Life After High School training materials and additional transition resources.